I thought it was time for another mascara review! Recently I have been trying to save some money, so I haven’t had any new make up much. 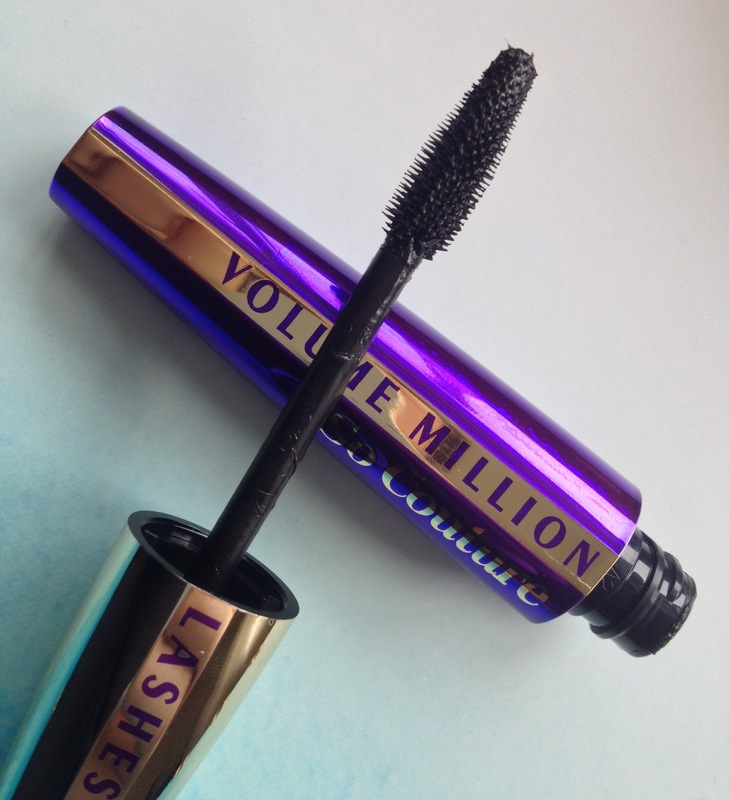 However the other day I was able to use my Beauty Card from Superdrug to purchase L’oreal’s Volume Million Lashes So Couture mascara. What pulled me towards it was the packaging. It is metallic purple and gold and looks really beautiful, and I saw a sample of the wand which looked really good. The wand is small to medium-sized, which I quite like as sometimes wands that are too big are a bit hard to work, but this is a great size as you can get into the corners without touching your skin and ruining your make up! The formula is fairly wet, and the smell is quite pleasant. It coats your lashes well, but it is best with two coats as it is nice and buildable. After two coats, my lashes are really lengthened and have loads of volume. I would say though that this mascara is better at lengthening than volumising. For £8.99 this mascara is not bad at all. There are no problems with it, and if you need to lengthen your lashes, then this mascara is definitely for you!